The vast majority of children and youth in Canada are not exposed to second hand smoke in their homes regularly. However, immigrant children and youth are somewhat less likely to be exposed than are Canadian born children and youth. 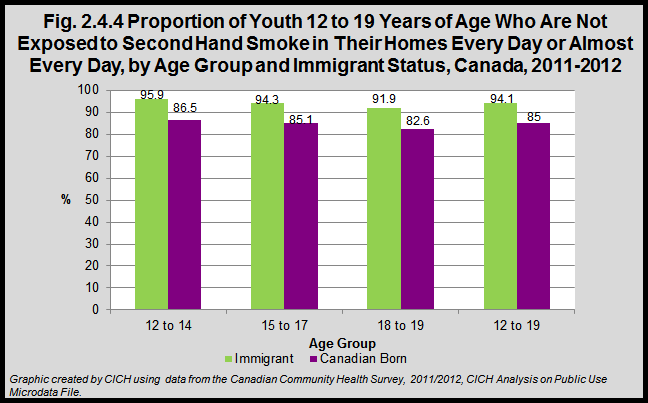 Ninety-four percent of immigrant children and youth 12 to 19 years of age reported they are not exposed to second hand smoke every day or almost every day – compared to 85% of Canadian born children and youth.